A few years ago there was an excellent Italian restaurant in Jacksonville, Oregon called "Caterina's". Unfortunately, it was a little too gourmet for the Rogue Valley and Caterina soon found she could be more successful, with less work, doing catering and Italy tours. 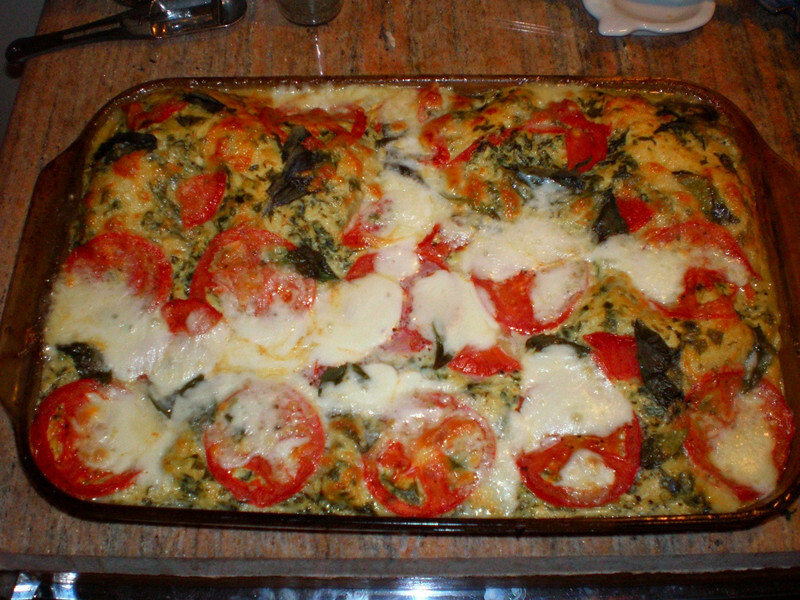 However, she did give me a recipe for one of her signature dishes, Lasagna per L'Estate ("Summer Lasagna"). 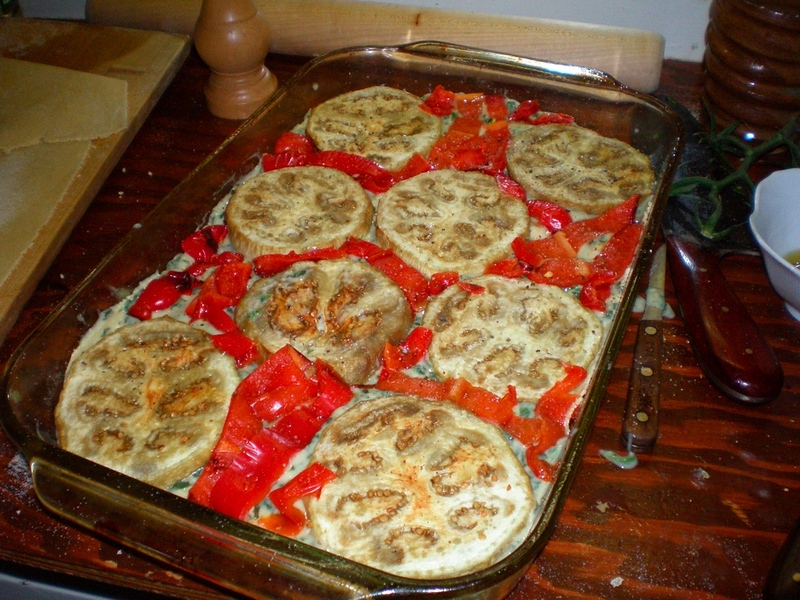 Her original recipe was a little too "restaurant" for home use (some ingredients needed to be chilled overnight, and it was cooked in single-serve portions) so I modified and adapted it, and (as I usually do) added more vegetables to make it into a one-casserole meal. 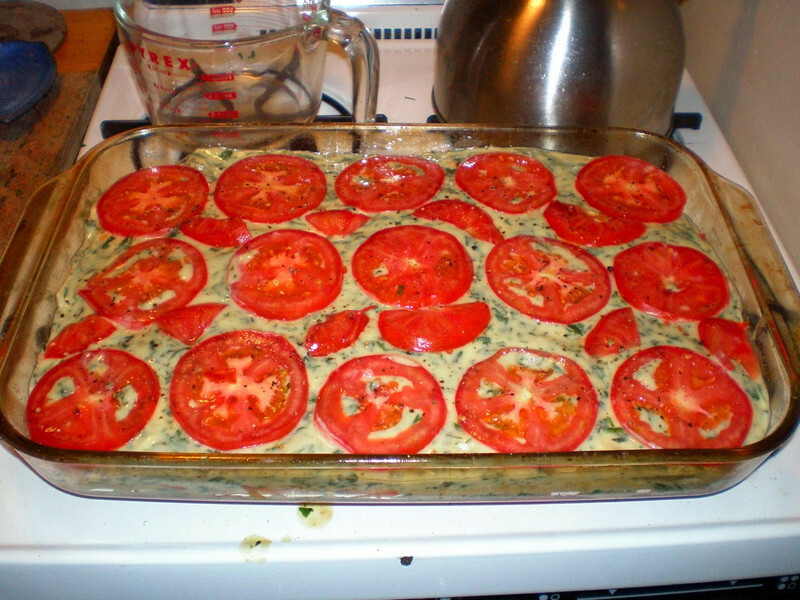 I present it here as a lighter-feeling lasagna for August when summer vegetables are at their peak (oh, and before you ask ... "Fabio" was my nickname in Italian class). rubber spatula, plus pasta-making equipment if you want to make your own. First off, do you have at least 2 hours to make this? If not, make something else. Before you start preparing the vegetables, place two racks in the oven with enough space to use both, and heat the oven to 400F. Slice the vegetables. 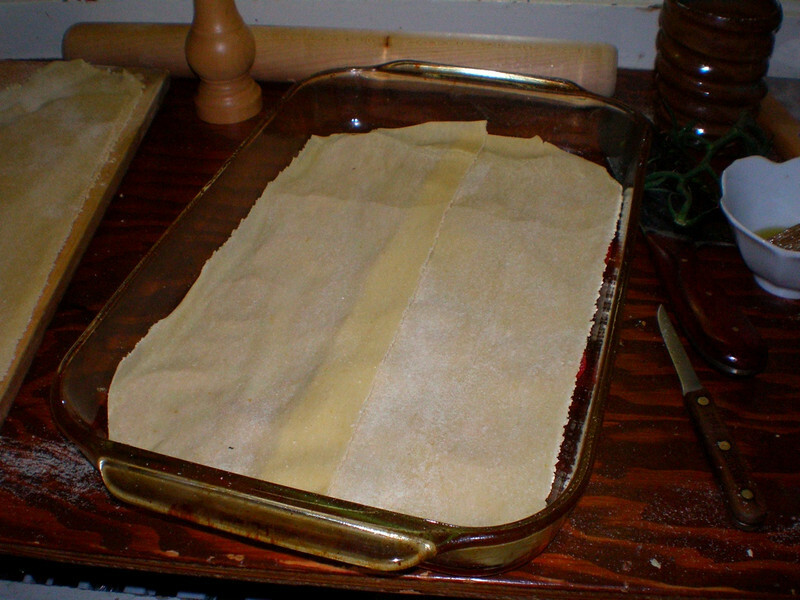 Line the two cookie sheets with parchment. 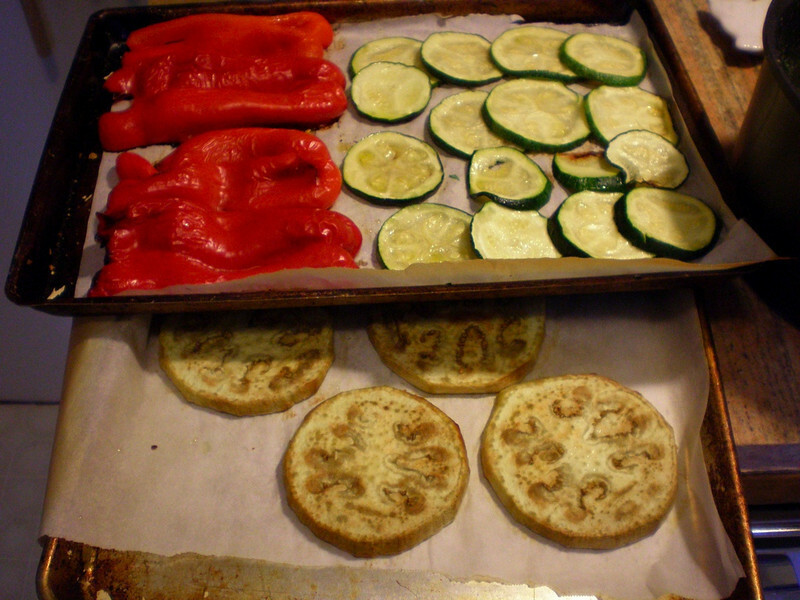 Place the sliced eggplant, zucchini, and bell peppers on them, and brush them with some of the garlic olive oil, and sprinkle them lightly with salt. 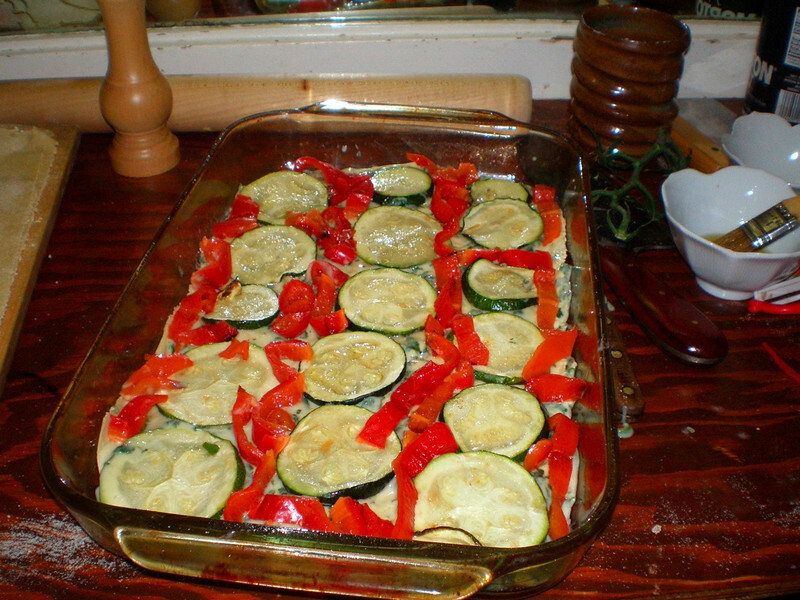 Bake for 15 minutes, or until the eggplant and zucchini starts getting soft and browned on the edges. In the meantime, make the bechamel. Melt the butter in the large non-stick pot. When it foams, add the garlic and onion; saute until the onion is translucent. Add the flour and stir until it clumps up. 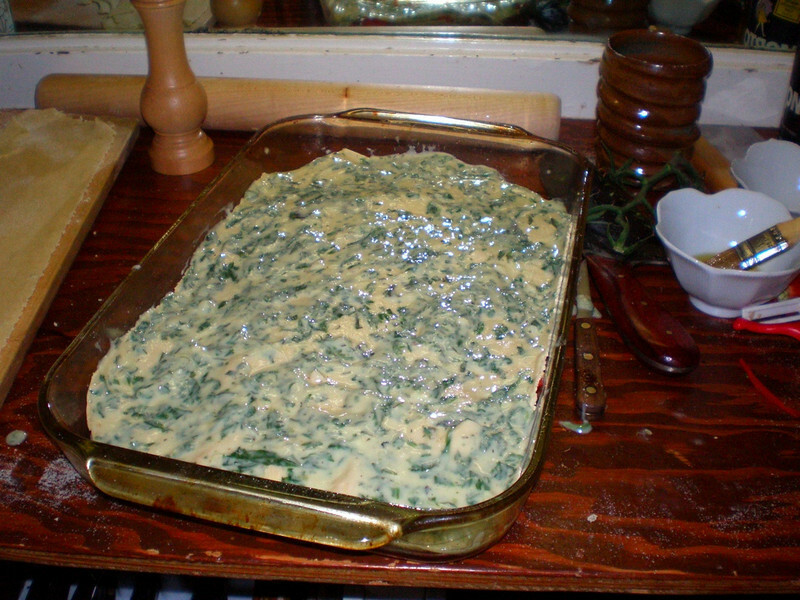 Add the spinach and thyme and stir until wilted. Add the milk and wisk until blended, then turn heat down to medium-low. 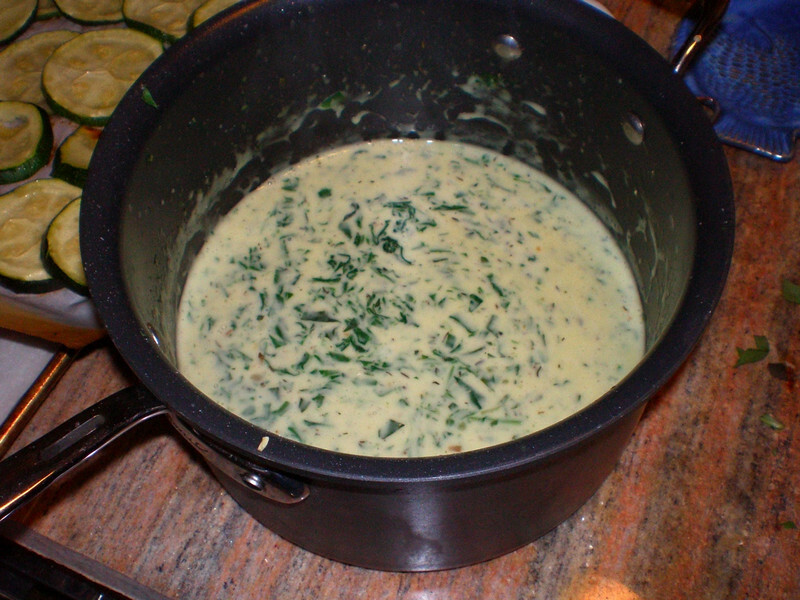 Whisking frequently, add the nutmeg, pepper and half the basil, and continue to whisk until the bechamel thickens, about 10 minutes. Turn off heat and stir in the parmigiano, until blended. Set aside to cool. By now the vegetables should be done. 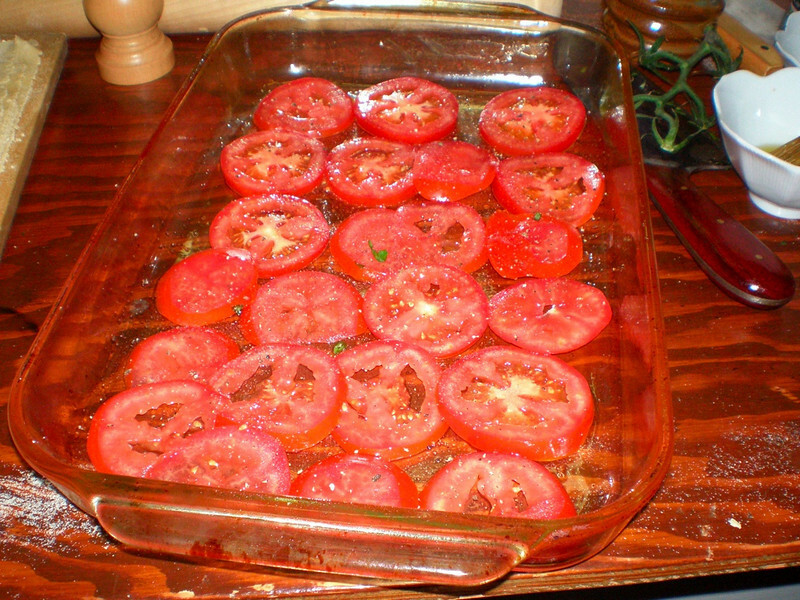 Set them aside to cool, too. Roll out the pasta dough at this time, if you're making your own. If you're not, then go make yourself a drink and get a magazine; everything will take at least 20 minutes to cool off. Leave the oven on, though. Slice the peppers in to strips. Then, cover it loosely with greased foil (or a greased lid) and bake for 25 minutes. Take the lasagna out, uncover, and poke down any bubbles. 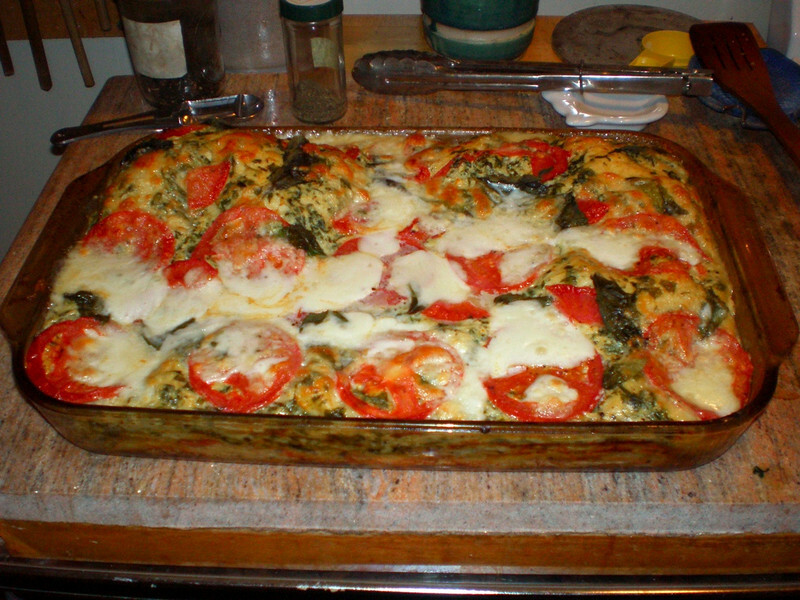 Scatter the mozzarella slices and the whole basil leaves over the top of the lasagna and put it back in the over for another 15 minutes, or until the mozzarella browns in spots. 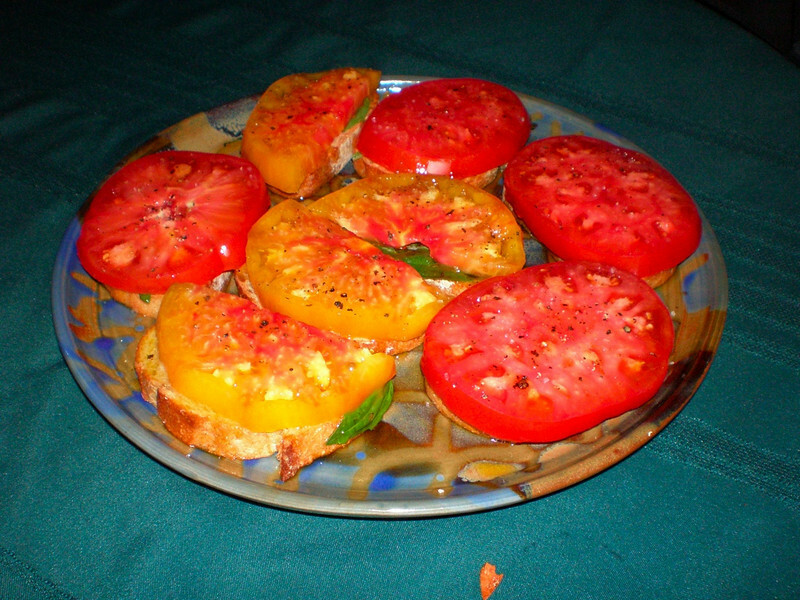 While it's baking, make heirloom tomato crostini for your guests who are dying of hunger while smelling the cooking lasagna. Allow to cool for 15 minutes before serving. Serves 6-8 as a main course. Notes: I find it helps to make your lasagna in a broader, shallower pan like the 15” by 10” mentioned above, rather than a deeper, narrower pan. The lasagna cooks faster and doesn't end up soupy. 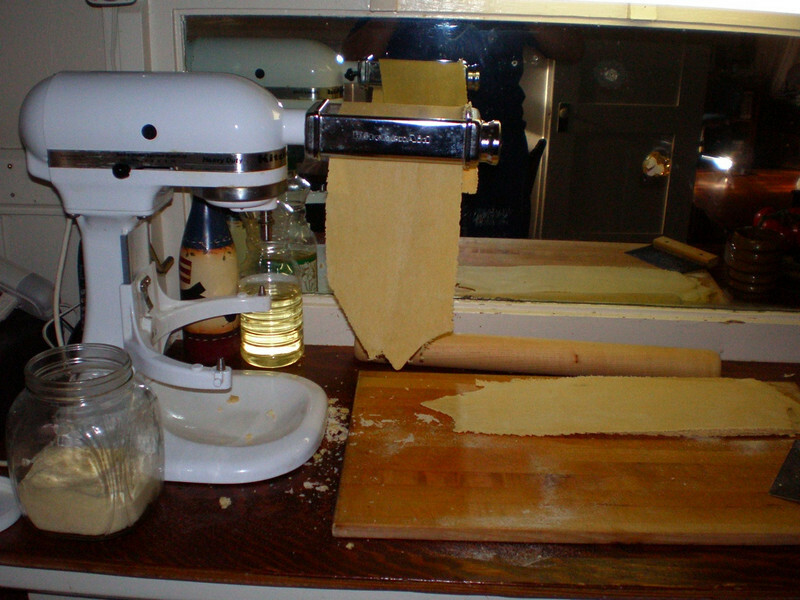 Also, fresh pasta is really the way to go for making lasagna; it's less of a pain than pre-cooked pasta, but cooks better than dry pasta, even the “instant” lasagna noodles. Also, it's much easer to lay out in the pan and trim to fit than dry pasta. However, supermarket fresh pasta sheets may be a little thick – you really want noodles which are between 1mm and 2mm thick.